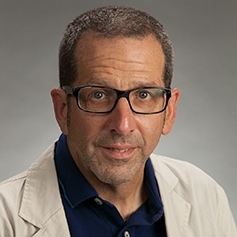 I happened upon this video and recognized my own text of Yiddish-to-French-to-English translation being used by this professor at a Catholic university in San Antonio TX. Though a native of Brooklyn, Alan Astro says he has been at Trinity University for over 25 years. His field is modern languages and literatures; one of the subjects he teaches is Yiddish culture. His lecture, titled “Christianity and the Holocaust in Elie Wiesel’s Night” was filmed by St. Francis College and at the 6min59sec mark, he shows text from my very important 2012 article “Night #1 and Night #2—What Changes were Made and Why, Part One.” So you never know who is reading this site – a lot of people and all people who have a professional interest in Elie Wiesel. At 6:59, Astro shows text translated by Kladderadatsch for this web site, which he calls “Where’s the tatoo?” (sic). 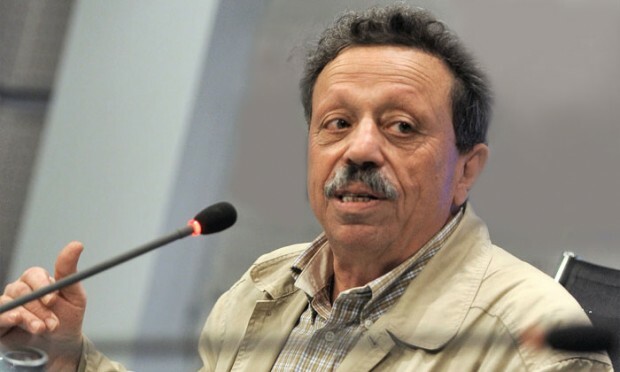 He says that even though Yiddish was not known very well even in the Jewish world … “Holocaust deniers somehow get their hands on the Yiddish and manage to get it translated. 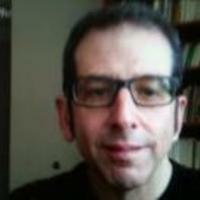 Here is one holocaust denier or minimizer on the web who makes a whole big deal about the fact that in the Yiddish and French and English original translations Wiesel “is not quite 15” when he is arrested and sent to Auschwitz, whereas he is 15 in the newest edition and this is considered to be something that somehow questions the veracity of the whole historical knowledge of the Holocaust. But that’s another issue all together. But it does show you that things can very often have strange consequences.” (He goes quickly to something else at 8:10. So Astro has my text on the screen for one minute, 11 seconds, enough time to read it all. 3. Not yet fifteen … or fifteen? UdV Page 63 : Yingl, vi alt bistu? fregt mir a heftling. Zeyn pnym iz geven in der fintster, ober zeyn kol iz geven a mids, a varems. Nokh nisht keyn 15 yor, hob ikh geentfert. “Kid, how old are you?” a prisoner asked me. His face was in darkness, but his voice was tired and warm. “Not yet 15 years,” I answered. LN Page 54: Hé, le gosse, quel âge as-tu? C’était un détenu qui m’interrogeait. Je ne voyais pas son visage, mais sa voix était lasse et chaude. “Pas encore quinze ans.” / Not yet 15 years. This very important passage was discussed above. I think the reader would agree that “not yet 15″ can mean even farther from the age of 15 than “not quite fifteen.” What is clear is that Marion Wiesel has changed the author’s original words to fit them to her husband’s age in Spring 1944. Astro dismisses this important observation with the misrepresentation (in boldface above) that the example is intended to negate the entire holocaust story. No, it isn’t; obviously it questions the veracity of Elie Wiesel’s truthfulness in “Night” since this scene took place in April or May, and the real Wiesel’s 16th birthday was coming up on September 28, 1944. Thus Wiesel was not 14 in Spring ’44, but had already been 15 for at least 7 months. Astro is not interested in telling that to his audience or pursuing it himself. He is a professor of languages and literature, but not an expert on Elie Wiesel or the Holocaust. Far, far from it. Another photo of Professor Alan Astro. At 19:33, hear him pronounce Wiesel’s name as weasel (as I say it) and then quickly correct himself to the affectation Wie-zell that he used throughout the talk. This indicates that ‘weasel’ is his default way of pronouncing the name, or the way he first learned it. At right is another photo of Professor Astro I found online that gives what might be a truer look at the man. Why is it that no one can mount a sustained argument against the contents of this website? Or even a single good argument. There have been a few who thought they had done so, but after my reply, they disappeared. All I get nowadays are really pathetic, 6th grade-level comments (I wish they really were in the 6th grade; then I might get somewhere with them) like this one from “Leelee” that came a couple of days ago. Rather than post it as a comment (to an article from 2011! ), I decided to make an article out of it, as I did with Tiffany Yep. Now Tiffany is a genius compared to Leelee, as you will see. But I’m going to respond to what Leelee says anyway because it’s so typical of the kind of complaints that are sent to this site. You know what is even more disgusting? That you people think he is a fraud because he won’t show you his numbers. This guy went through something horrific and you won’t give him respect because he won’t show you something that dehumanizes him. Have you actually thought about the truths out weighing the lies? Instead you manipulate people with your little side comments that don’t even give Elie’s true thoughts. If you were only called by numbers and not your God given name (for lets say two years? ), would you feel proud of showing people something that made you feel below human, like an animal essentially? Then add starvation,abuse,illness,and disgusting living conditions to that equation. Just use empathy before you accuse somebody, and keep you little side comments to yourself, because it’s not worth dehumanizing someone (again) because you don’t believe that his answers are everything you want to hear or because he won’t show you numbers etched into his skin that he had to hide behind for so long. The human mind is only capable of so much, and Elie is so brave for even telling his story. Please reconsider what you are doing, and base your accusations on a little more proof. She says Elie’s tattoo “dehumanizes him” and that’s why he won’t show it. Nonsense! He has never said that. If that were his reason he would say so. In fact, he has talked about his tattoo a lot, and used it in his writing and speeches, so if he can talk about it he can show it. If you were only called by numbers and not your God given name (for lets say two years? ), would you feel proud of showing people something that made you feel below human, like an animal essentially? I never thought that God gave me my name; my mother always said she did. Did God give you the name of Leelee? He wouldn’t be so cruel. It was not two years – you were right to question that – but just under one year. Nor does having a small number tattooed on your arm make you feel like an animal. If you got a number tattooed on your arm, would you feel like an animal? All prison systems give everyone a number and that number is attached to their name because people can have very similar, even identical names — same as in Auschwitz. Why don’t you start a campaign against that practice in today’s prisons? See how far you get. 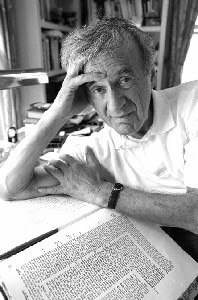 You are trying to make your thoughts Elie Wiesel’s thoughts but you have no idea what his thoughts are. Nor do I, so I go by his words, not by some imaginary ideas I dream up. You may even be the same person who has written many comments here, saying basically the same thing, using different names. None of these comments have a sincere feeling about them – mainly because they’re so darn silly. 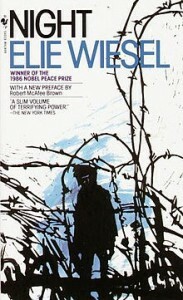 All the suffering you want us to believe Wiesel endured comes out of the fictional book Night. There is no objective proof that he was starved, abused or even ill. 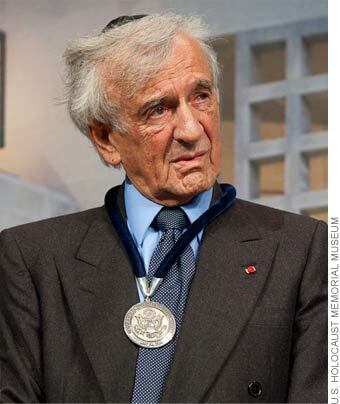 There are no witnesses to any of it – it all comes from Elie Wiesel himself. If you think that famous Buchenwald liberation photo shows an image of poor, suffering Elie, you are wrong. I can prove he’s lying about it, anyone can prove it. There is not a single image in existence of him at either Buchenwald or Auschwitz, or in a ghetto. … because it’s not worth dehumanizing someone (again) because you don’t believe that his answers are everything you want to hear or because he won’t show you numbers etched into his skin that he had to hide behind for so long. He hid behind the number on his skin? How does that work? You’ve gotten carried away with your own dramatic language. Why not show the number? The only possible reason is because he doesn’t have one. You go on and on about his feeling dehumanized and mentally fragile, when in fact there is no evidence of that. He feels just fine about the power he and his fellow Jews have by using the weapon of the “Holocaust.” He’s very happy about that, and life has been great for him. You are painting a picture of someone who doesn’t exist. Perhaps because you’ve been assigned to this website and you can’t refute what is here so you rely on this kind of righteous indignation. Please reconsider what you are doing, and base your accusations on a little more proof. A little more proof? Unreal! I’ve got tons of proof here and you don’t challenge any of it. Instead, you’ve got righteous indignation and you turn things around: accuse your opponent of what are really your failings and vices. You have no proof for the “poor suffering young Elie” myth. If anyone sincerely looks into it, they won’t find real evidence of it; therefore to distract from that lack of evidence you’re taught to resort to emotional charges. What makes me suspect you’re not a girl named Leelee? Because I’ve received so many comments just like yours with girls names attached. 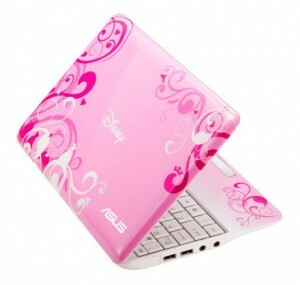 Well, it’s possible a lot of high school girls reading Night search Wiesel’s name on the Internet and end up here. It’s possible they get upset about it and send off a comment. But, except for Tiffany’s, they’re all so much the same. Saint Elie will be canonized in the Catholic Church — expect it! And the Media and public will eat it up. This brings me back to my original thesis that no one can defend Elie Wiesel’s story with solid evidence. No one ever has. Try to give me an example where you think that has been done. We’re always confronted with sentimentalism and emotional manipulation to cover than lack, which has gotten pretty tired by now. 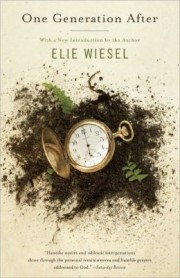 The Elie Wiesel drama is a story, a fiction, make-believe from start to finish. Wiesel only allows himself to be interviewed by friendly Jews, but even at that, he says a lot of things that give him away. He always tells his story just a little differently. But one has to want to see reality in order to notice it. Elie Wiesel’s fans don’t want to notice it. And the mainstream media doesn’t either. When he dies, will we see his life story presented in a major Hollywood movie? You can bet on it … or gag on it. He may have already made known his preference for who should play him. 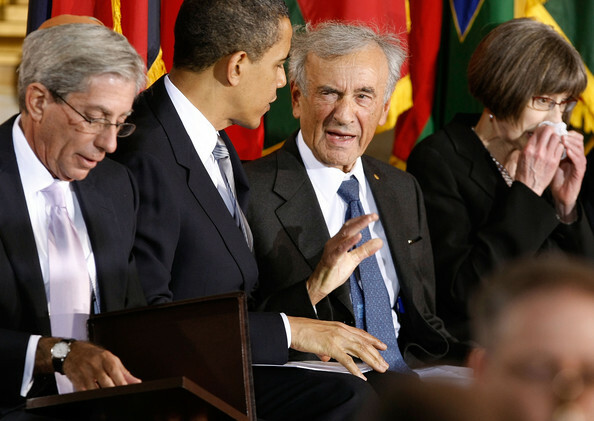 Elie Wiesel shows his ugly side in an unguarded moment during a “Holocaust Remembrance Day” ceremony at the U.S. Capitol Rotunda in 2009. Tattoos can easily fade over the course of many decades. Even if he is not truly a survivor, his book “Night” has done wonders to teach people what went on in concentration camps. All you hear are tales of bravery and resistance and love from books about the Holocaust. These books betray the true horror of the Holocaust. Many of the survivors did not speak of what if (sic) actually felt like to be imprisoned in Auschwitz or Monowitz. 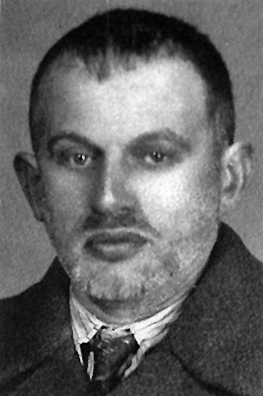 Wiesels’ novel, real or not, accurately displays the anger and helplessness felt by the Jews in Germany and Poland and in other parts of Europe. Even if you are right and he is conning people, he still deserves that Nobel Peace Price (sic). Millions of youths from around the world have learned from “Night”, and in order to mot (sic) repeat history, we must learn the history. he could also have removed the tattoo, since his entire life does not center solely on his novels, and he can possibly be triggered when looking at the tattoo. If you haven’t picked up what I’ve been saying in this essay, basically a) you call him an idiot if he removed the tattoo because he wrote the books-he has his own feelings outside of proving he was at Auschwitz, and he may be triggered by the tattoo and the memories behind it, and b) even if he has never set foot in Auschwitz, his book has still done wonders to educate people on the honest horror and devastation in the concentration camps, versus the stories of faith and love and selflessness of people who managed to avoid it. And answer this question-if he was never in a concentration camp, how on earth was he able to depict them so accurately? Let’s take the first sentence, Tattoos can easily fade over the course of many decades. Yes, they can fade, but do not become invisible. “Most tattoo inks will fade over time but never fade away completely. The edges of the tattoo usually become less defined with time,” says the sharpologist. Tattoos are applied to the Dermis, which is underneath the Epidermis (top layer of skin). The Epidermis replenishes itself by forming new skin cells, but the Dermis does not. Tattoos are permanent, although will experience some fading over decades, according to this site. This page should convince Tiffany that her theory of Wiesel’s vanishing tattoo cannot be right. Please notice the pictures of Auschwitz survivors who are more than willing to show off their tattoos. There is Samuel Bradin (now 86), Henry Flescher (now 92), Leo Zisman (now 84), and Paul Argiewicz (died in Dec. 2013 at age 88). Notice that each of their tattoos is somewhat faded but still very visible. Elie Wiesel is now 87, in the same age group, but he does not “show” his tattoo because he doesn’t have one. If he had one, it would be just as visible as those of his contemporaries. Wiesel stands out at this event where he was the main speaker as being the only Auschwitz survivor who doesn’t pull up his sleeve. No one would dare ask him to, either. To any but the willfully blind, this behavior (along with photos of his bare arm) proves that Wiesel never had an Auschwitz tattoo. So where did he learn what went on in concentration camps if he had not been in even one of them? I doubt Tiffany is aware that Wiesel gets angry when people suggest his book is a novel, not his faithful testimony. But what Tiffany is actually saying is that people who weren’t there can teach us what it was like to be there just as well or better than people who were there. Read that sentence again. The reasoning goes that those who make it up, who invent stories out of whole cloth, can write more interesting books than those who tell it as it actually was. Does Tiffany likes the gory stuff because that is the focus in her school holocaust lessons? He’s confessing that he’s writing “literature”, not testimony – literature being imagination and story-telling, testimony being a faithful account of what one has observed. And Tiffany goes along with that because she approves of super-charging the story-line to better get the point across. Finally, she says. even if he is conning people, he still deserves that Nobel Peace Prize. For conning people?! 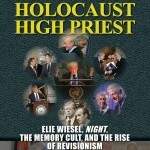 If the Holocaust is a con (not just by Wiesel), then it is not history. Therefore, there has to be some reason that it is pretending to be history. If we learn not to repeat what never happened anyway, we are learning nothing. What should we be learning instead? We should be learning why and by whom this Holocaust con has been brought to us, that’s what. When invention and 2nd-3rd hand information are offered in place of faithful testimony, it is then a lie. A LIE cannot be accurate. Tiffany would do well to try to understand the moral distinction. All her nattering about Wiesel’s feelings is meaningless, since she doesn’t know him or his feelings. 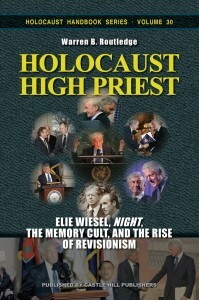 Rather than imagining what he feels, she would do well to read Holocaust High Priest by Warren B. Routledge and learn something about the real Elie Wiesel. Wiesel has also done nothing for peace. He is unqualifiedly pro-Israel and Israel is an aggressor-nation ever since it was allowed under strict rules in 1948. It has broken every rule and also sureptitiously developed powerful nuclear weapons. How does the promotion of the false holocaust story bring about peace in the world? Israel and Jewish surlievers collect ever-increasing amounts of money from Germany, along with nuclear submarines, and also huge amounts of money to buy armaments from the U.S. So much is given to Israel there is not much left for anyone else. At the end of her comment, Tiffany does me a favor by asking me to: Answer this question-if he was never in a concentration camp, how on earth was he able to depict them so accurately? Oh, so easy. He didn’t! That is what most of the articles on this website are about – how his stories about Auschwitz and Buchenwald don’t fit the official narrative – and contain numerous inner and outer inconsistencies and contradictions. There is nothing accurate about his descriptions (or lack thereof) of Auschwitz, Birkenau, Monowitz or Buchenwald. He waited 10 years to write his “testimony” in order to have other reports to model his on, not because of the fatuous reasons he gives—and he still got most of it wrong! No, clearly, Tiffany doesn’t have any idea what is accurate when it come to the “Holocaust” or to Elie Wiesel, but I will venture to say she likes the story the way Wiesel tells it because it makes her feel good about herself – she is one of those who will make the world a better place. So now Tiffany, how about answering a question for me: How on earth can you believe something you know so little about? By what inner workings have you accepted what you were taught in school without applying any critical analysis? Was there a critical element involved in your Holocaust Study unit? Were students comfortable in asking questions of a critical nature? Do you consider yourself well-educated about Elie Wiesel and the “Holocaust?” Will you even ask these questions of yourself? Maybe someday you will. I’m glad you let me know that you have read this site. I invite you to read and comment more, as I would be more than happy to get into a dialogue with you. The Germans have been accused of making soap from jewish corpses in Auschwitz , but it takes a jew to make a soap opera there. 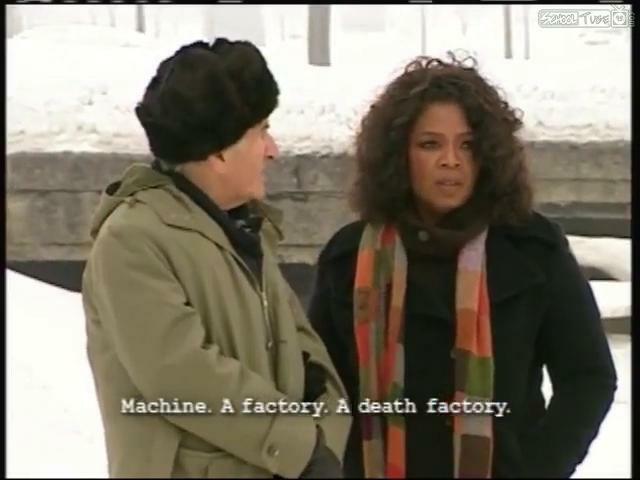 Victim Elie Wiesel and victim enabler Oprah Winfrey made a soap opera at Auschwitz on January 29, 2006, exactly ten years ago. 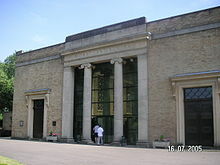 The two superstars, along with Winfrey’s film crew, met in front of the entrance to Birkenau and much of that filming was added to the documentary created later in-studio by Oprah’s production team. The resulting 45-minute “movie” was broadcast as part of The Oprah Winfrey Show in May of that year. 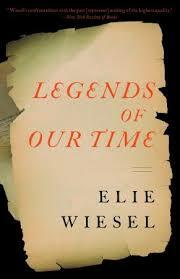 Recall it was thirteen days earlier on Jan. 16 that Winfrey announced the “new 2006 translation” of Elie Wiesel’s Night as her newest book club selection. The next day, Jan. 17, Amazon announced it was changing the category of Night from novel to memoir. A lot of questions were raised (as it was known they would be), and the Elie-Oprah Auschwitz trip was intended to distract attention away from those embarrassing questions … to reinforce to the public that Wiesel was a genuine, suffering “death camp”survivor and Night was unquestionably his true story. It was, in my opinion, a business venture that the advisers to both parties worked out as part of the entire deal between Oprah and Elie. All that the two headliners had to do was show up and act out the roles they knew so well. 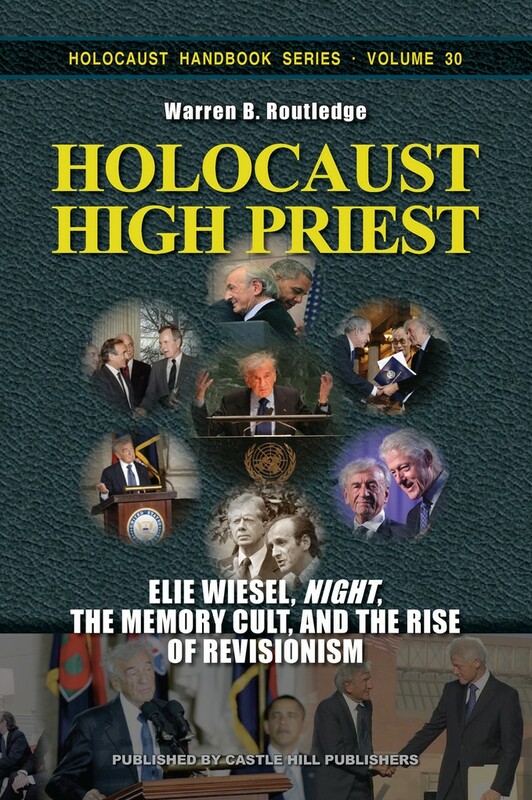 Oprah has referred to Wiesel as “my world hero” and said she was never the same after reading Night; she was the perfect gullible, unquestioning foil for him. This 3rd and last time he made the film with Oprah, which was titled “Auschwitz Death Camp“. The lies and just plain ignorance that are packed into this program is amazing. I will refute some of it here. Elie actually says very little in the beginning but reads passages from Night in order to not speak such stupidities on camera. It is understood by most reasonably sophisticated people that Night is a creative effort—not to be taken literally. Notice that in the film he doesn’t describe his life in the camp with any detail–no names, specific persons, places, events—only generalizations anyone could come up with. For instance, standing in front of Block 17 in Auschwitz 1, where he says he lived, he claims he thinks often about those who died there, but doesn’t offer a single name or how they died. It doesn’t say much for jews if they agreed to kill and cremate their own people just to put off their own death for a short time. There is no way to force someone to do this. This is one of the weakest links in the Jewish Holocaust narrative. 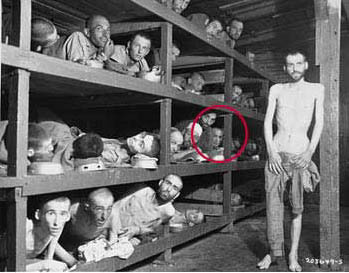 In this photo, taken by soldiers on April 16, 1945, after the liberation of Buchewald, Elie Wiesel looks out from the far right of the middle bunk. Dr. Mengele was a normal man who served humanity as a doctor. Once again, the claim of mass killing is false. Prisoners were kept as healthy as possible in order to be able to work. And also once again, they’re throwing cans into the “gas chamber” through a little window in the roof. Pretty stupid of the SS men! We could ask why Elie didn’t take Oprah to see the swimming pool. Or take her into one of the large kitchens, or the theatre. Or point out where the soccer field had been in Birkenau. Apart from the fact that he may not even know about this places, since he never lived there, both knew that bringing up that aspect of the camps would defeat the purpose and soapiness of their soap opera. Their purpose was to reinforce the stature of Elie Wiesel and his book Night, and a secondary benefit was to give Oprah more tear-jerking content for her TV show. In May 2011 Night was #3 on the Top Ten bestseller list from the Oprah Book Clubs in their final 10 years, according to Nielsen BookScan. Winfrey did her best as an actress even though she broke character in a couple places, halting expressing her confusion about the story, saying she couldn’t make any sense of it. Wiesel immediately counseled her that she should not look for sense because none could be made of it. It is unexplainable and inexplicable … and a permanent mystery. 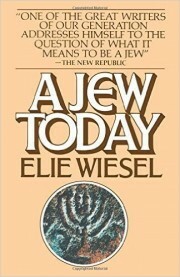 As for upholding his part in making the film interesting, Wiesel totally failed. He was a bore. 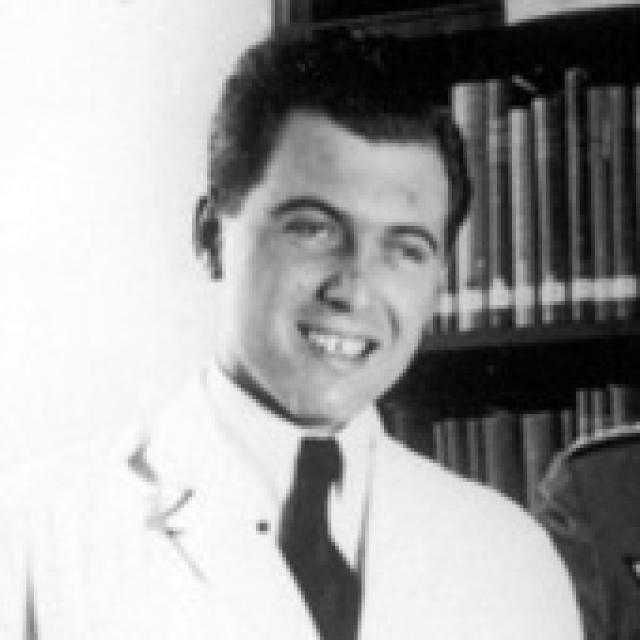 His Auschwitz experience remains preposterous and unconvincing—really just a soap opera. Sighet, my little town, all the characters that I am inventing or reinventing, all the tunes that I have heard. It is always, whatever its name, that little town Sighet. The real Sighet was actually the largest city in Maramures province with a population of 50,000 to 90,000 people, and was 35 to 50% Jewish … as written by Wiesel himself in Un di velt hot geshvign, the Yiddish precursor to Night. But in Wiesel’s other books, Sighet is a product of his imagination. 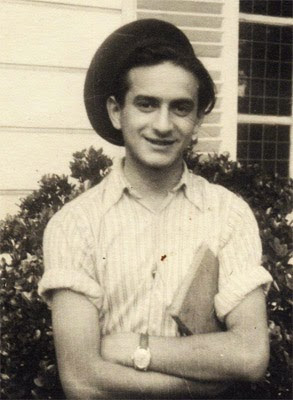 Image uploaded by Loupi Smith to convince people that Elie Wiesel has a tattoo on his left arm. But why is the picture cropped on the right? I received a letter from “Heidi” and I was a little uncertain whether it was real or not. I have now decided that, unfortunately, it’s for real. 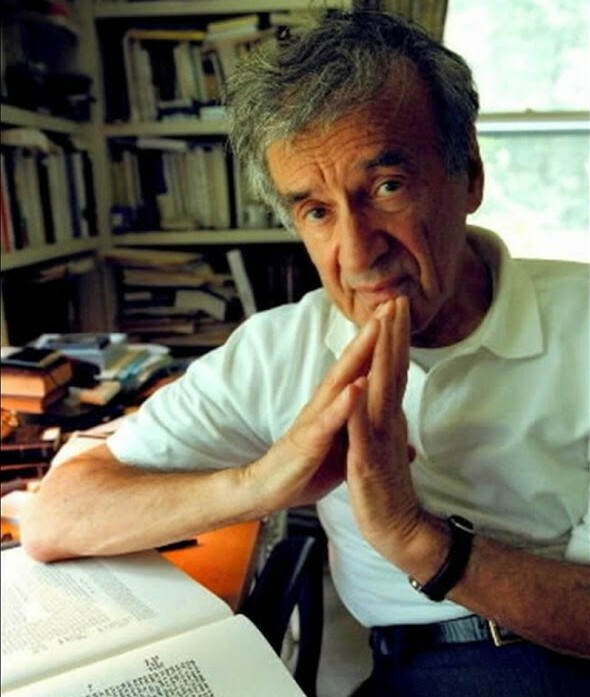 But oh my, then we have another instance of a racial brethren who has fallen under the spell of the Elie Wiesel “Con.” Wiesel has an industry behind him that assures massive support for “his story” … or his version of history. In all her good-hearted but overdone and misdirected sympathy for the sufferers of the world, Heidi becomes nothing more than a brainwashed tool, who is fooling no one but herself. I wrote back calling her a “brainwashed Canadian,” which she took as an insult, mainly because to her way of thinking it separated us as Canadian and American – different – when in reality we have common ancestors. She may think that is bad, but it’s really much worse. Here is her letter to me; my commentary follows. And I would like to hear comments from the readers too. What do you think? I think it’s worth a try to contact Wiesel. First, Elie Wiesel is 87. He hasn’t made a public appearance for a couple of years. Is our Heidi aware of that? Probably not. Even when much younger, Wiesel only allowed interviews when very strict ground rules about what can be asked, and what not, were laid down in advance. It is rare, if not never, that he allows any interviewer, Jew or not, to ask him any non-softball questions. Is Heidi aware of that ? Probably not. On this website, I have already attacked and accused Wiesel of many things, mainly pointing out the many lies he has told. He has made no attempt to answer any of it. Has Heidi read most of what is on this website? Surely not. 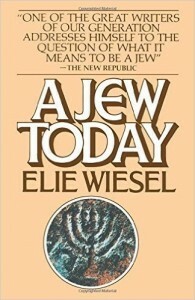 She has read the sidebar with the Wiesel Quotes, and the title. 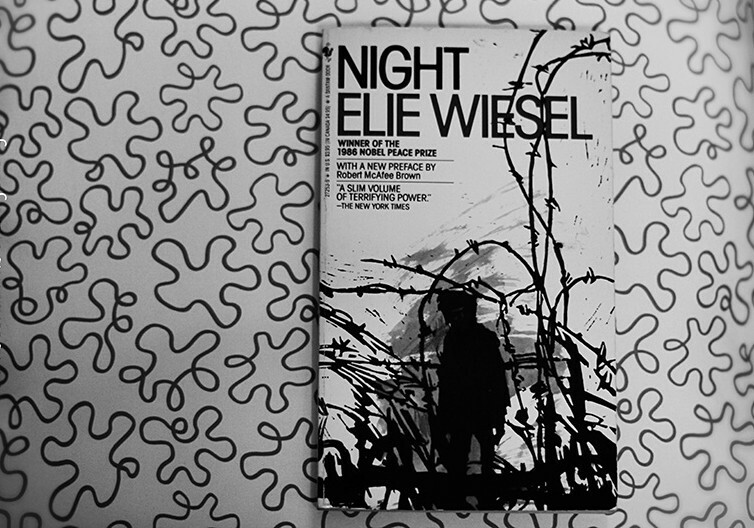 She wants Wiesel to explain what he meant by the “silent, blue sky” at night – she’s sure he can. But Heidi, Wiesel didn’t write that he saw the blue sky in the fire, as you say, but that the fire was burning under the silent blue sky … at night. Please keep things straight — one thing I can’t tolerate is sloppiness when talking about Wiesel. Heidi compares the Jewish book “Night” to the Jewish comic book, “Maus,” by Art Spiegelman, and admires them both because they “differentiate the SS/Nazis from the German people,” she thinks. But they don’t. Elie Wiesel has famously written, “”Every Jew, somewhere in his being, should set apart a zone of hate — healthy, virile hate — for what the German personifies and for what persists in the German. To do otherwise would be a betrayal of the dead.” He also thinks it is perfectly proper and even necessary for ordinary Germans, 70 years after the war ended, to continue to supply “survivors” and Israel with billions more euros … money these innocent Germans are taxed for. But Heidi doesn’t stop to think things through. If she would read more of Wiesel’s writings than just “Night,” she would learn far more about the real nature of the man. If she would read everything on this website, she would really learn about him. Wiesel has also said that he will never knowingly be in the same room with a holocaust denier! He wants nothing at all to do with them. I am not only all German, but a holocaust denier. So how would he give me an interview? Heidi makes a distinction between German and Nazi, but I do not. She will say, “Oh, no, not anti-German, but anti-Nazi.” In a second letter that I received from her she told me about her grandmother’s life in Germany right after the war and said of her family, “They weren’t Nazis.” I say, too bad, what were they then? Same setting as feature photo – here we see more of his arm, but when enlarged it is nothing but a shadow. Loupi doesn’t give a source for this photo. Where else can it be seen? 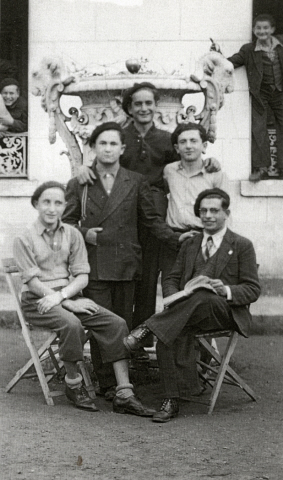 About Wiesel’s left arm, she sends me to the page put up by Loupi Smith, a notorious Jew who probably photoshopped the b/w picture of the young Wiesel (right). If you zoom in on it, nothing that looks anything like numbers shows up. And where was it taken? We have seen plenty of unretouched pictures of Wiesel’s arm where nothing is visible. 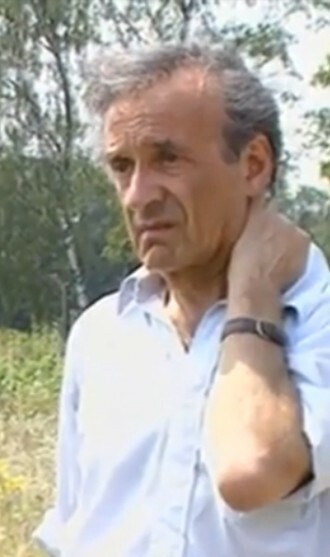 As to the color photo of the older Wiesel (above) – I have for some time had this small b/w version (above left)* that shows more of his arm, and the darker smudge turns out to be nothing but a shadow. Absolutely – it is not a number. To prove Wiesel has a tattoo, Loupi has to do better than this. And so does Heidi. For instance, a quality magnified view that shows A7713, not just a smudge. Maybe a bit of cooperation from the tattooed person himself would help. Because all the evidence points to the fact that he took another man’s number for his own after the war. The evidence of his handwriting is also conclusive. The world today (at least anyone who has any interest in it) does know how bad things were in Germany after WWI. That information has been widely disseminated. Most people have sympathy for the Germans of that time. But Heidi wants to equate the suffering of the Germans after WWI with the suffering of the Jews during WWII. Jews, however, and Elie Wiesel in particular, will never go along with that! Why doesn’t Heidi have anything to say about the even worse suffering of the Germans after WWII? My grandmother suffered terribly from the poverty in Germany after the 1st war—she was only a year old when her father died as a soldier in 1914, and her mother was left with many children to take of, all on her own, as NO social assistance was available at that time. My Oma had no shoes. She picked potatoes in her bare feet for Jews. You could never possibly understand such suffering, could you? Where were you during that time? Where was I? Just like Heidi, I wasn’t yet born! How old does she think I am? My only intent would be to express the empathy I feel for all that he suffered. We are all humans, are we not? I believe that he wrote the book while experiencing dreadful pain of those horrible memories, done by war criminals, not the common German citizen of that time. He is very intelligent and well-educated—a special person to me, as he understands human suffering on a very deep level.